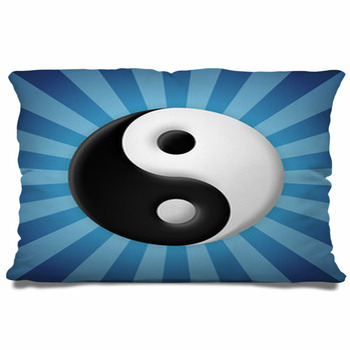 Balancing opposites in perfect harmony is one way to describe the yin yang Chinese philosophy. Life is full of balance. For example, we need to work hard just as much as we need to rest. We even have to balance passivity with passion. 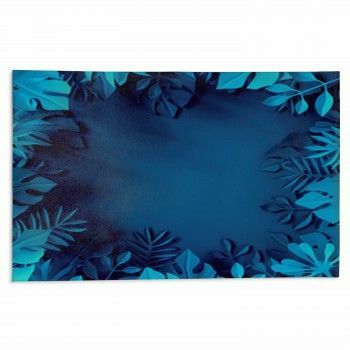 We even need balance in colors when we decorate a room - light colors to offset dark or bright colors. 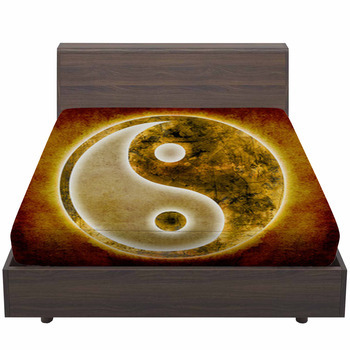 The philosophy of yin yang can easily be added into your life by incorporating the ancient symbol into your bedroom decor. 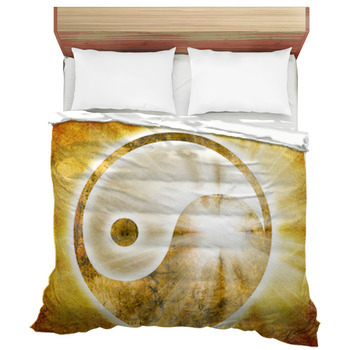 VisionBedding's yin yang bedding makes it easy. 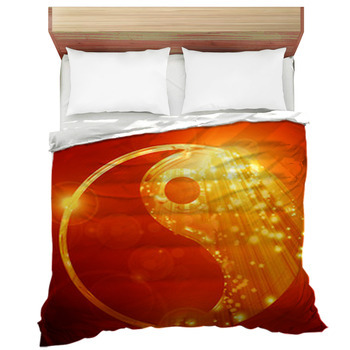 We provide options of yin yang sheets, comforters and duvets - however you want to bring this harmonious symbol to your bed. 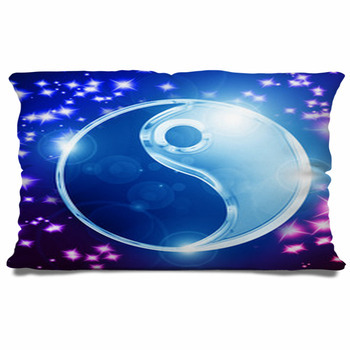 So many of the available yin yang designs will blend well with your decor that is already in place. 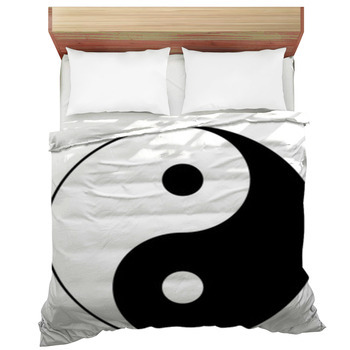 Since the typical symbol is black and white, a yin yang comforter will match almost any bedroom color. 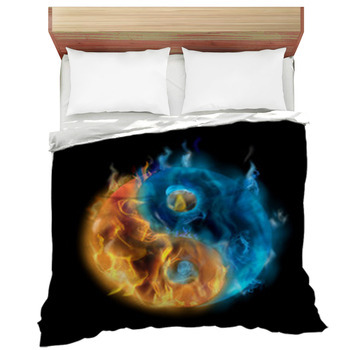 If you prefer to keep your old bed cover, but want to still incorporate the balance that the yin yang symbol represents, then bed sheets are the way to go. 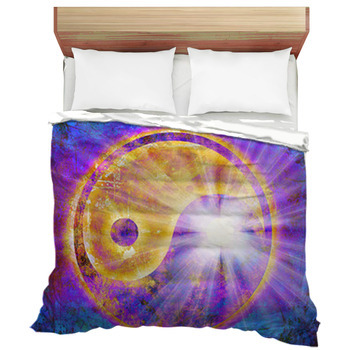 With bed sheets, you can choose a design that has a repeating yin yang symbol across the sheets, or one large symbol that is centered in the middle. 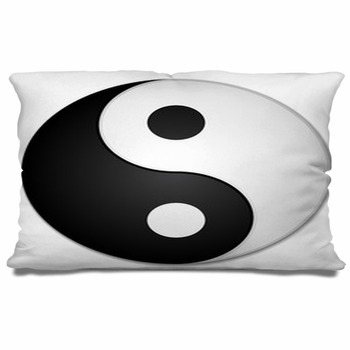 \The Chinese believe that yin yang is implicitly connected to the five elements, which are metal, fire, water, wood, and earth. 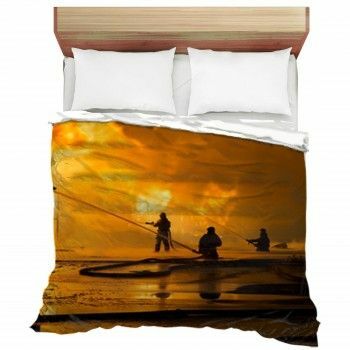 You can complement a yin yang comforter by bringing in some of these elements to your bedroom. Stained wood nightstands with metal lamps create a feeling of simplicity and bring in the elements of wood and metal. Then add a few green potted plants for the earth element, along with a small tabletop water fountain for the water element. Candles next to your bedside will complete the five elements to give a finishing touch to your yin yang themed bedroom. When you wake up in the morning, yin yang designs on your bed are a pleasant welcome to live your day in harmony, because if living in balance teaches us anything, with the good also comes the bad. 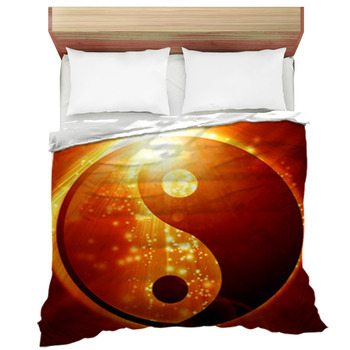 Check out our yin yang bedding designs and let us know if you have any questions! 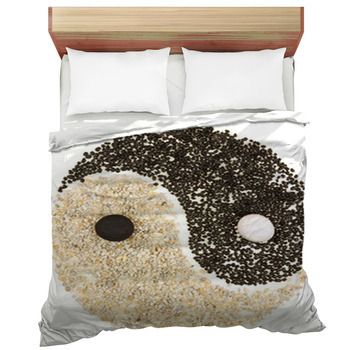 Your yin yang bedding could be even more special and personal if you want. At checkout, all you need to do is add your own meaningful text or phrases that you want to help guide you every day.